Fra Carlos Grunenbergh’s portrait should be attributed to Mattia Preti, Giovanni Bonello argues. Giovanni Bonello (Ed. ): Treasures of Malta, No. 51, summer 2011, Vol. XVII No. 3, Fondazzjoni Patrimonju Malti. 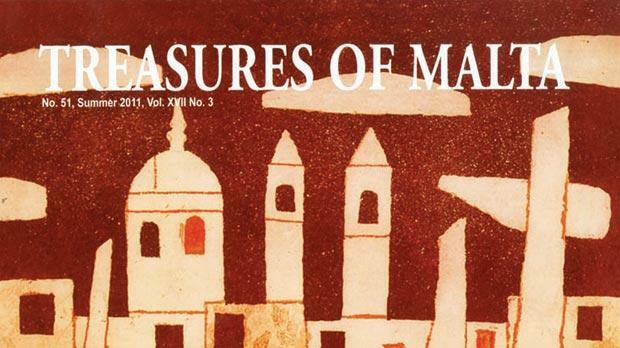 The latest issue of FondazzjoniPatrrimonju Malti’s flagship publication Treasures of Malta was keenly awaited by readers who cherish sharing the cultural wealth and diversity of our micro-state. The publication has attractedseveral established authors and researchers but it is also encouraging that it is finding space for new names. One such name is Christian Attard, who is reading for a doctorate in history of art, and who writes a very interesting paper on the iconography and cult of San Carlo Borromeo in Malta. This well-loved saint, who was extremely popular in the years of the Counter-Reformation and famous for the many significant reforms he introduced, even had a relative of his who served as an inquisitor in Malta. San Carlo had been at one time appointed supervisor of the Order and after his canonisation in 1610 he was chosen as one of the Order’s patron saints. An altar dedicated to him was originally set up at the entrance to the oratory at St John’s Co-Cathedral in Valletta before it was moved to the chapel of the Anglo-Bavarian langue in 1739. Attard analyses the extent of how the cult of San Carlo developed in the island and had an effect on the artistic productions. Yet, as the author explains, San Carlo is “solidly woven into the very fabric of post-Tridentine Catholicism” and that one should seek “his implicit presence in the wide context of local baroque iconography”. Attard posits that the cult and iconography of the saint did not make more headway locally is due to the fact that his biography, unlike that of other saints lacked ‘one basic well-liked ingredient: magic’. Another new author is Nadine Debattista Briffa, one more History of Art graduate, writes about a little-known Senglea-born sculptor, designer, and art teacher, Aristide Bonnici (1851-1888) and discusses his oeuvre making some new attributions and clarifying a few other points. A competent but not an outstanding artist, Bonnici suffers from the fact that a good number of his works were either destroyed in the war or were replaced by works by more distinguished or more popular artists. Moreover, he was often in the shadow of his artist father and so some of his works may have been attributed to the father. The prolific Giovanni Bonello, on the other hand, needs no introduction. In this issue he argues convincingly that the portrait of Fra Carlos Grunenbergh in a private collection should be attributed to Mattia Preti, which would be only his thirdfree-standing portrait. Grunenbergh was a military engineer and, in spite of his fame, no other portrait of his is known to exist. 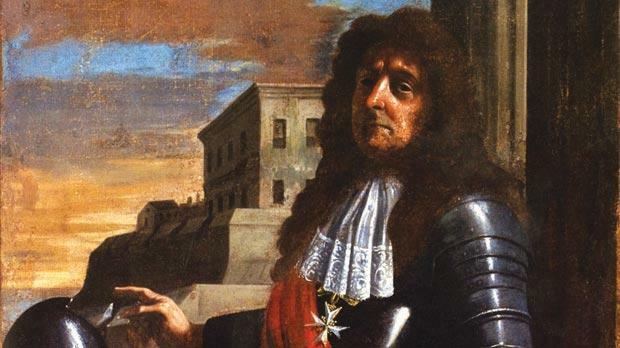 Three times invited by the Order to give his advice on the fortification of the harbour and the island, he is best known for the Grunenbergh battery that was built to defend Fort St Angelo from sea-borne attack. He also added the Caraffa enceinte to the defence of Fort St Elmo. Some of these works he paid for out of his pocket, for which he was made a knight of devotion by the grateful Order. Godwin Vella, head of the ethnography unit within Heri-tage Malta, writes about theAugustinian, Friars Minor, and Capuchins friaries of Rabat, Gozo. The former two were set up in the 15th century, while the latter was erected ‘only’ in 1730 apparently similar in structure, yet there are specific peculiarities that ‘have so far not come to light’. The Augustinian friary, which owing to a lack of vocations is also accepting guests in a truly idyllic atmosphere, is actually built on a network of ground-floor cells which were in keeping with the Order’s original hermitic inspiration, some of which have been restored. The Franciscan convent, on the other hand, had a very strategic site which explains why parts of it were fortified to withstand possible piratical raids. Until 1637 all Gozitans were expected to sleep behind the walls of the castello as a security measure. Indeed a keen observer who looks up at the massive convent from the main Rabat car park will notice a jutting gun platform. The Capuchin convent, on the other hand, had an underground area where dead brethren were mummified and later exhibited as a very effective memento mori. Speaking of dead people leads us to an architectural appraisal of Ta’ Braxia cemetery by Conrad Thake. Although not as grandiose as Emanuele Caruana Galizia’s Santa Maria Addolorata cemetry, Ta’ Braxia is a remarkable achievement with significantly architectural features that have often been ignored. Work on the cemetery started in 1855 and was meant to serve people of the various religious denominations, with the first burial taking place two years later. The cemetery has a number of artistic monuments and other architectural motifs, although the most eye-catchingfeature is the elegant central chapel designed by John Loughborough Pearson. Joseph Schiró and LouiselleBonnici discuss the conservation treatment of three Hortus Romanus volumes. This is an extremely rare and valuable publication, originally published between 1772 and 1793, with only the New York Public Library owning a complete set of the eight volumes. The authors describe the lengthy and laborious process necessary to conserve the volumes which are one of the many jewels in the crown of our National Library. Another valuable and unique volume is the Codex Evangeliorum Melitensis, a 12th-century manuscript with a close link to our medieval history. Martina Caruana, a specialist in illuminated manuscripts, discusses the features of this splendid manuscript, which is a work of art in its own right. Although the paper is necessarily technical by its very nature,Caruana gives a splendid explanation of the merits of the Codex and manages to convey a lot of her enthusiasm on the subject. Michael Gatt concludes his account of the visit to Malta of James Smith in 1844-45 which was started in the previous number of Treasures of Malta. Three years after his Malta visit, Smith wrote a very detailed account of the shipwreck of St Paul, in which he used his local knowledge to good effect and the volumes in the library left by the Order of St John. At the time there was a controversy about whether St Paul was actually shipwrecked on Malta or on the island of Meleda near Dubrovnik in the Adriatic. Finally, Lisa Attard and Joseph Galea Naudi give a tantalising overview of the exhibition ofscent bottles being held byFondazzjoni Patrimonju Malti at Palazzo Falson. These artefacts may be small in size, and as such tend to be overlooked, but they possess a charm and elegance of their own.